The USD cross-country teams will look to put on a memorable performance this Saturday when they head to Brookings for the Summit League Championship. One year ago the women’s team won the Summit League Championship. During that performance, seniors Amber Eichkorn, Katie Wetzstein and Kelsey Barrett were able to finish in the top 10. After the Bradley Pink Classic earlier this month, Eichkorn said she feels in peak form. “There isn’t much I need to improve on, I’d just like to run even faster than I did here,” she said. Eichkorn ran her best time ever at Bradley, placing first with a time of 20:11 – the second fastest time in the Summit League at the distance of 6,000 meters. That time puts Eichkorn in company with NDSU standout Erin Tesschuk, who holds a personal best of 20:06 in the 6,000-meter. Wetzstein, who holds the third fastest time at the distance of 6,000 meters this season with a time of 21:10, hopes to finish the season strong. “I’ve been telling them, you have to know your competition, if it’s a one point meet, you have to know who you have to pass to get that one point,” Fitzsimmons said. Fitzsimmons’s words of encouragement is good advice, considering how comparable the USD, IUPUI and NDSU cross-country teams are. Even the smallest of set-backs could be the difference in coming in third or coming in first. As far as the men go, they also hope to continue improving. “We’re getting better day-by-day, month-by-month,” Fitzsimmons said. Last year, senior Mubarik Musa finished fifth at the Summit League Championship and two years ago he finished second, right behind SDSU’s Trent Lusignan. Lusignan ended up fracturing a bone in his foot causing him to redshirt his 2014 cross-country season. This year, however, there is potential for a rematch between Musa and Lusignan. Both recently recorded their best times at the distance of 8,000 meters with Lusignan clocking in at 23:51 at the Wisconsin Adidas Invitational and Musa finishing with 24:09 at the Bradley Pink Classic. USD’s senior Isaac Allen is also no spring chicken when it comes to the Summit League Championship. 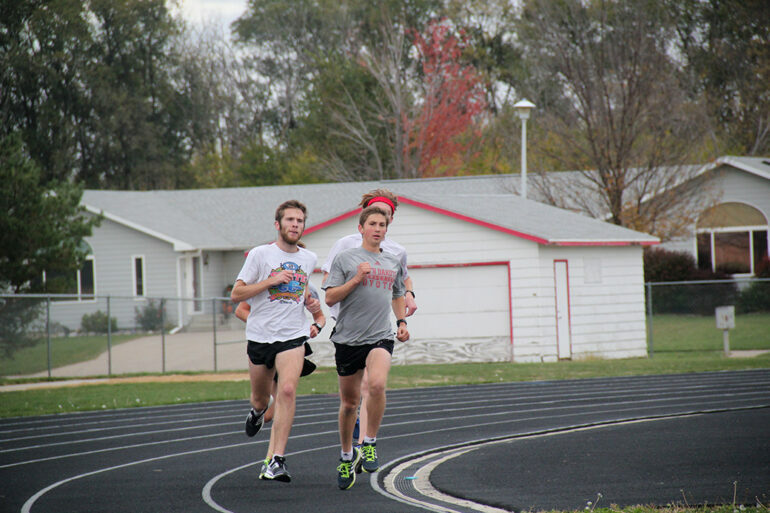 Last year he was able to place sixth, and in 2013 as a sophomore he placed 17th. It’s going to take a little bit more than Musa and Allen for USD to come out with a solid finish in the team standings, though. And with first-year Nate Wendt, sophomores Brice Cowman and Matthew Schilmoeller improving each week, the team feels in good shape. “Our chemistry is right where it has to be for us to keep getting better,” Allen said.